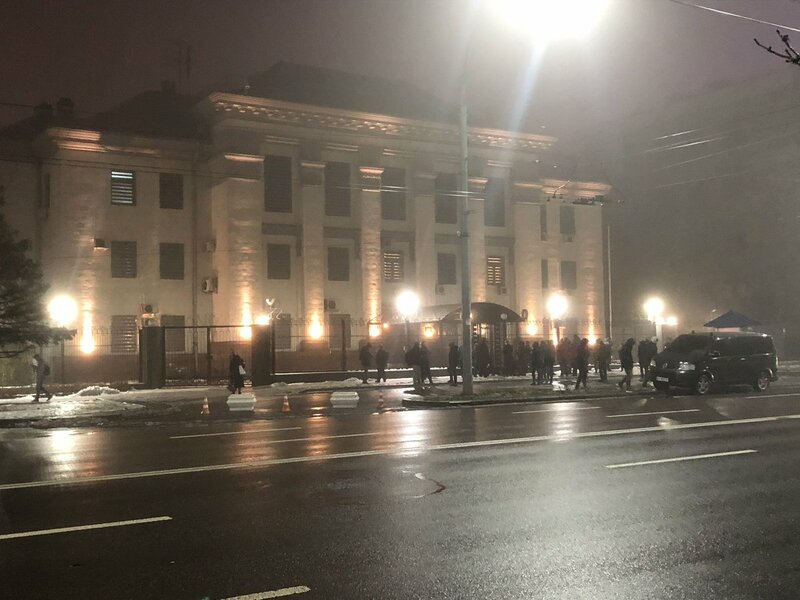 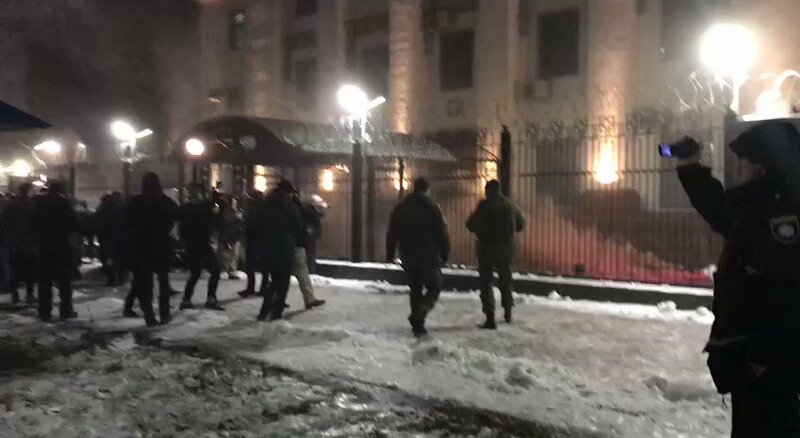 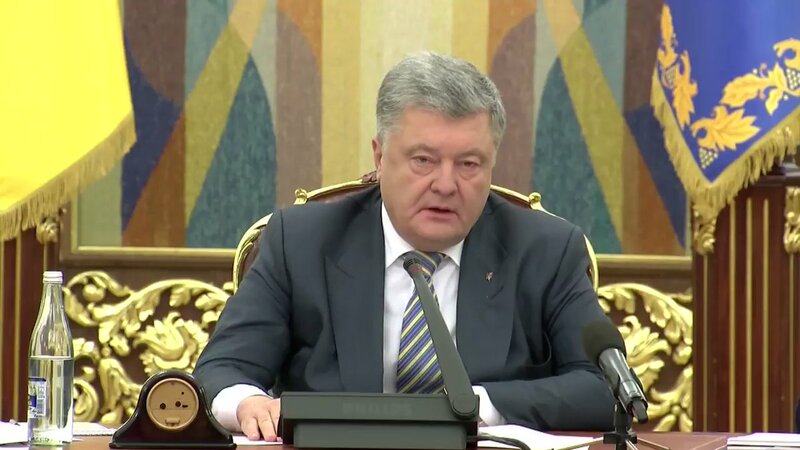 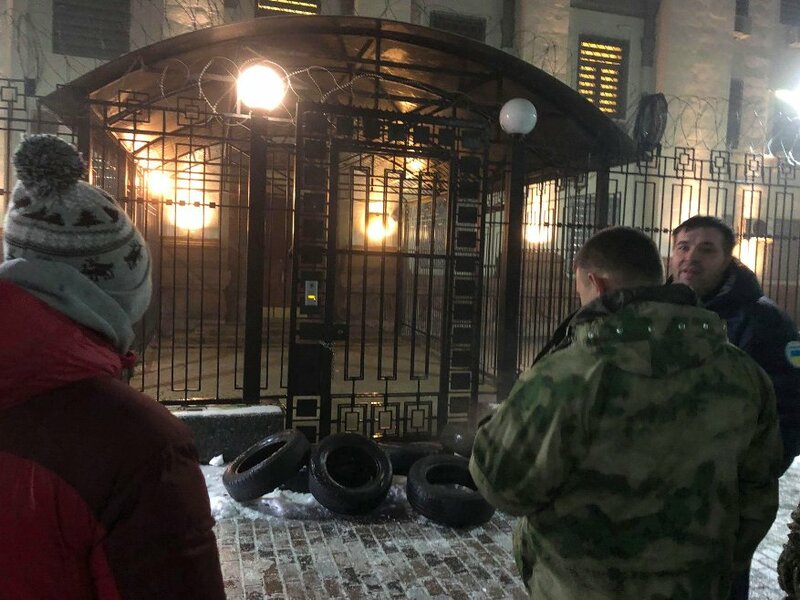 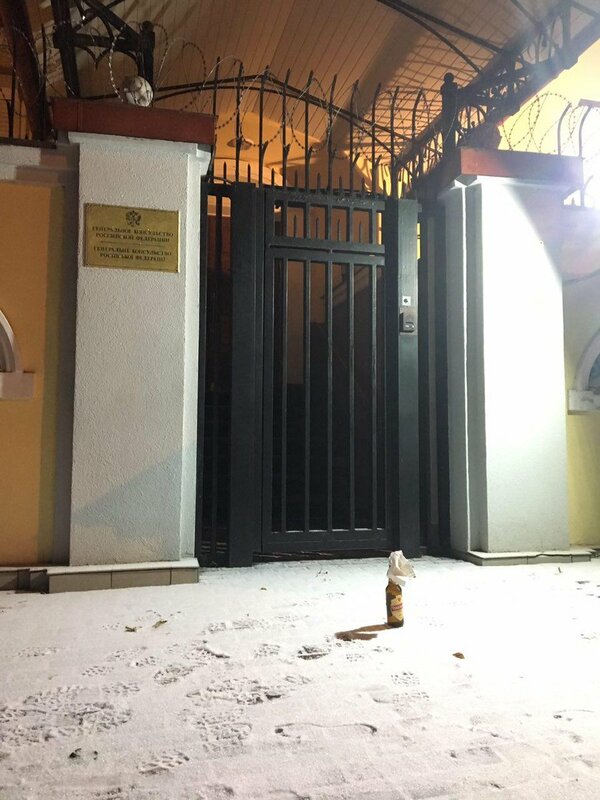 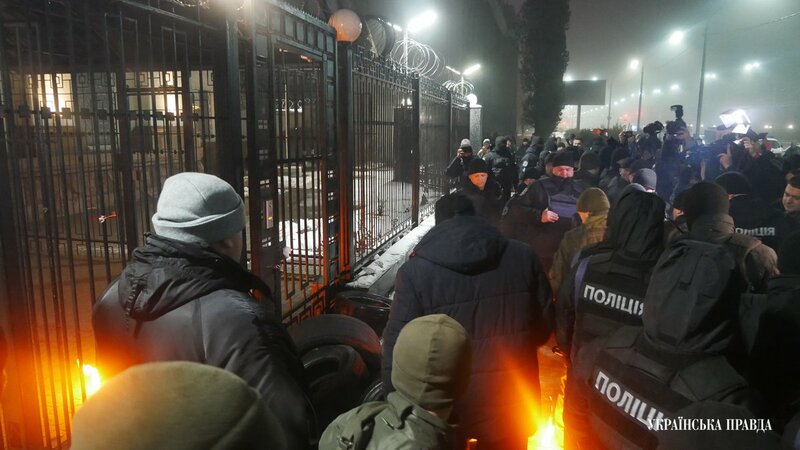 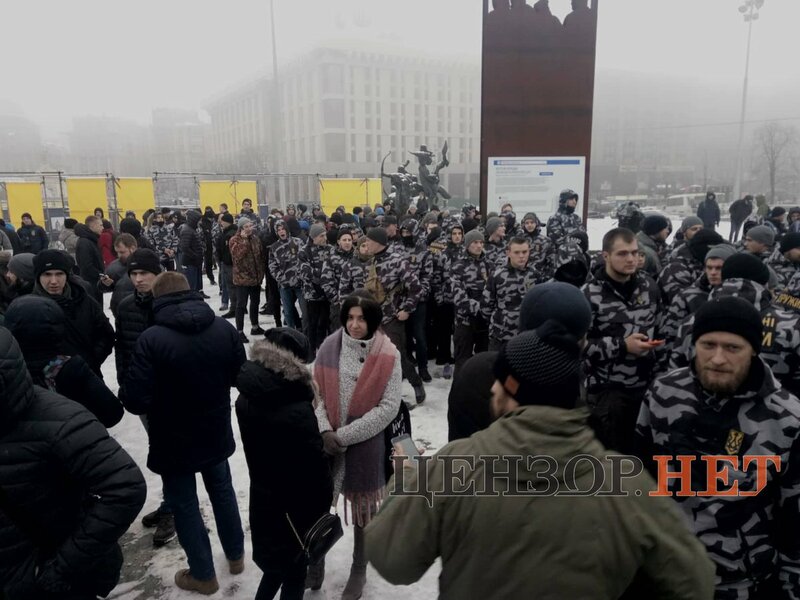 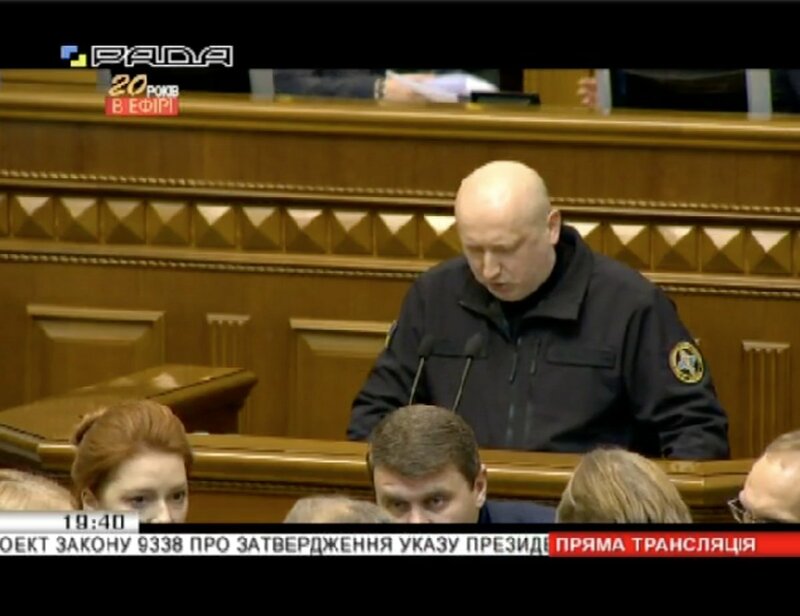 Ukrainian Interior Minister @AvakovArsen has put the State Border Guard Service, National Guard, National Police and State Emergencies Service on high alert. 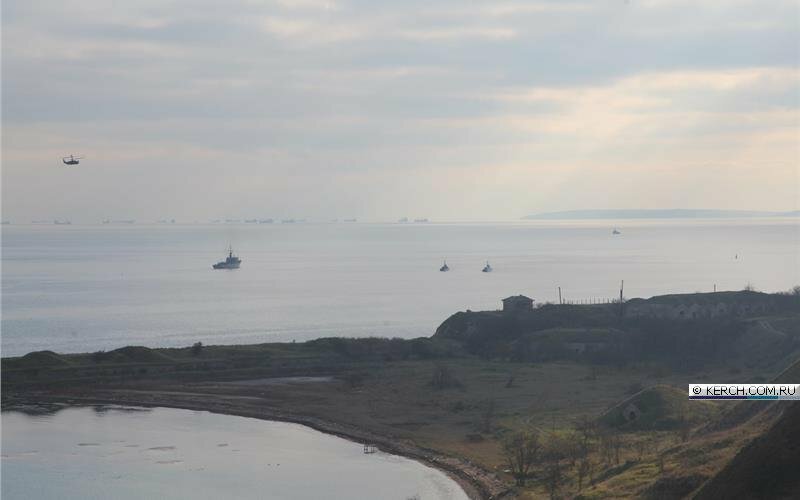 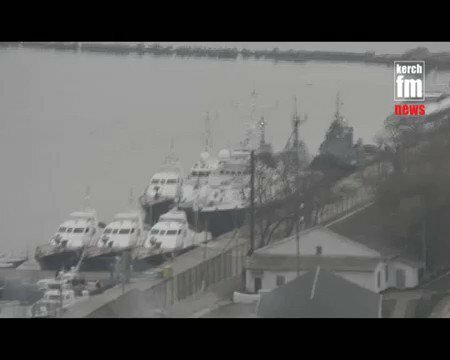 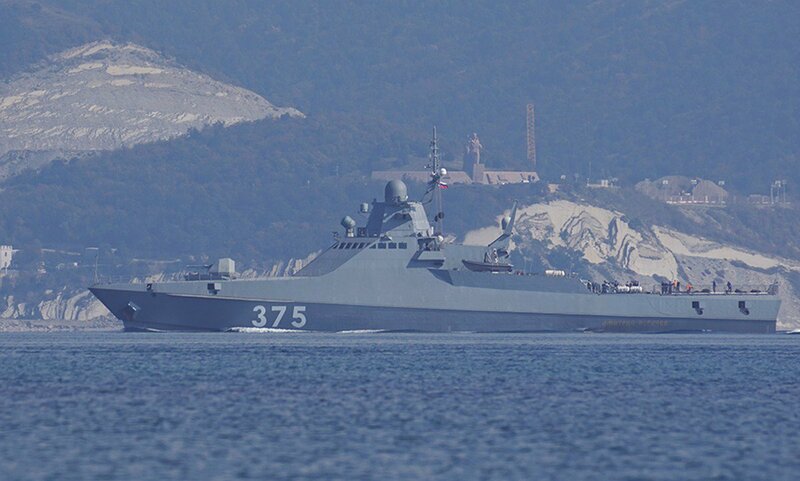 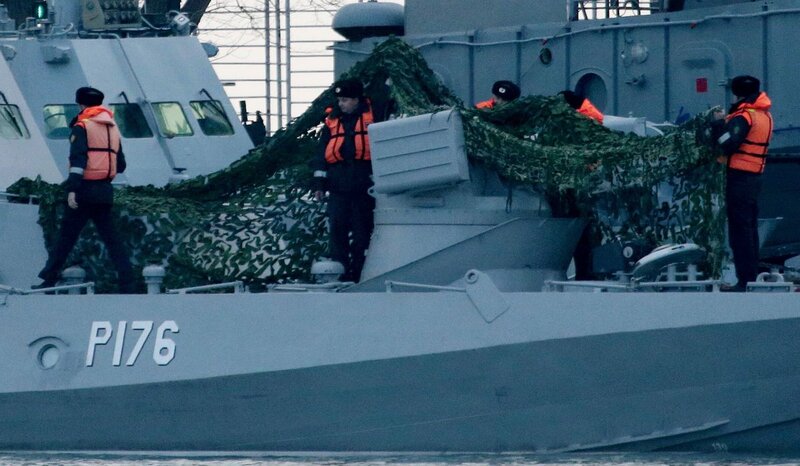 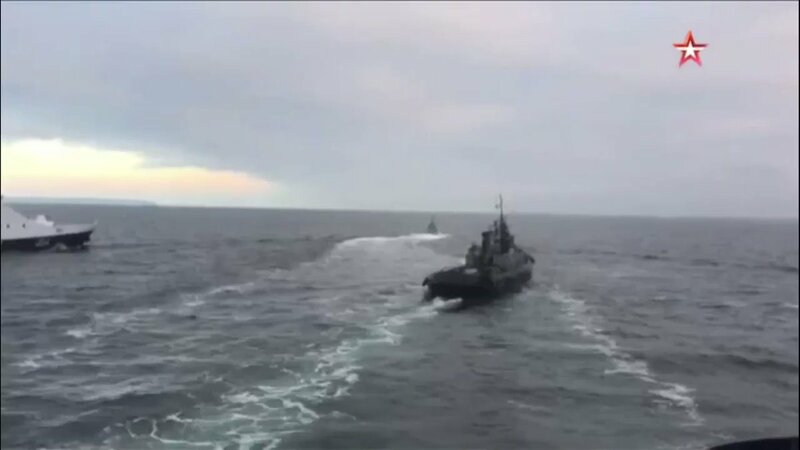 Russia's Federal Security Service says it has impounded 3 Ukrainian naval ships after they illegally crossed the Russian border. 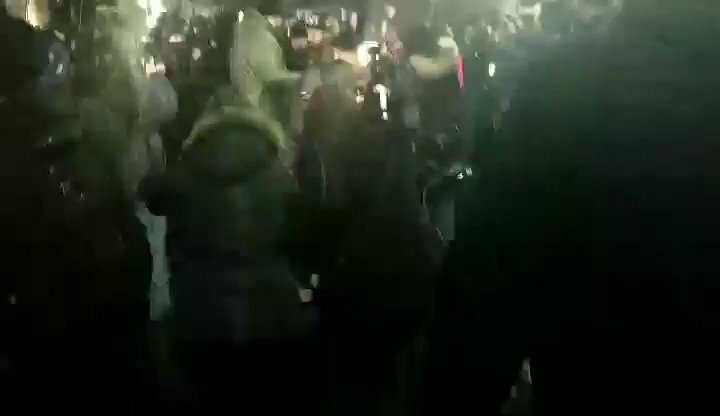 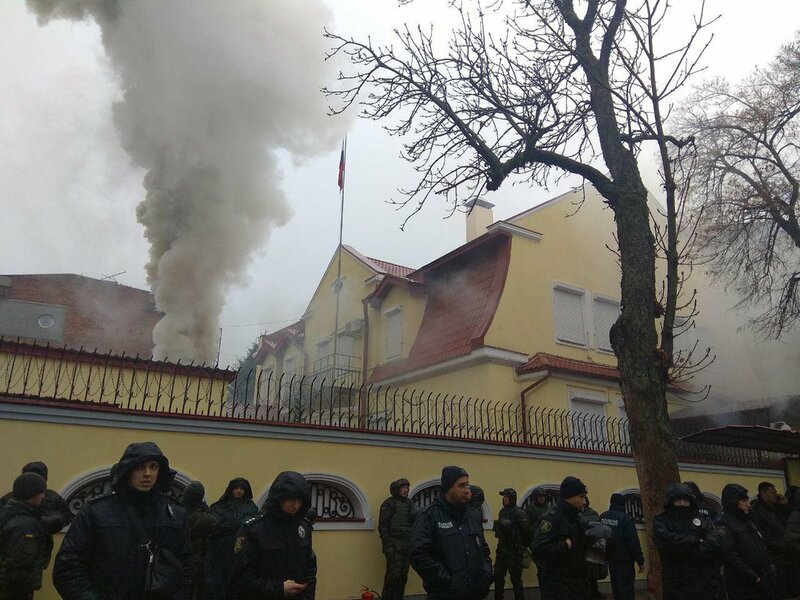 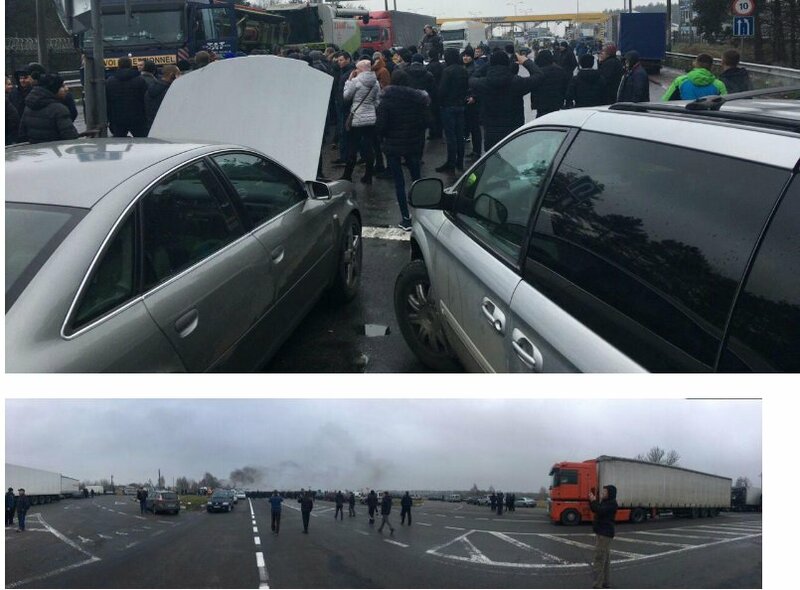 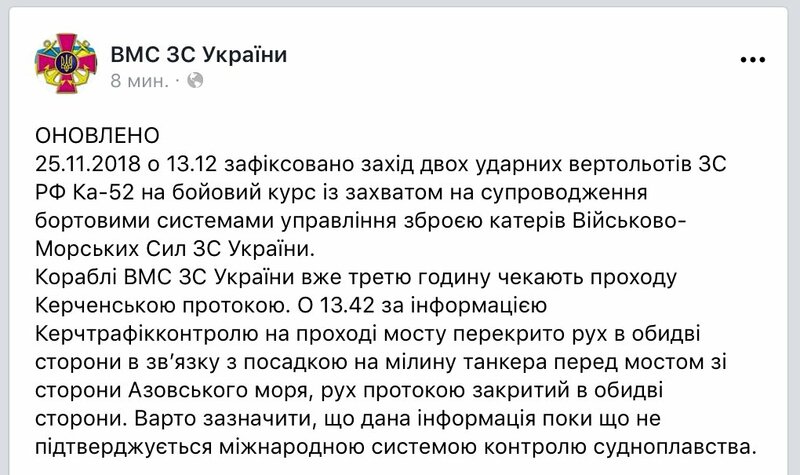 Says 3 Ukrainian soldiers were wounded in the incident and are getting medical treatment. 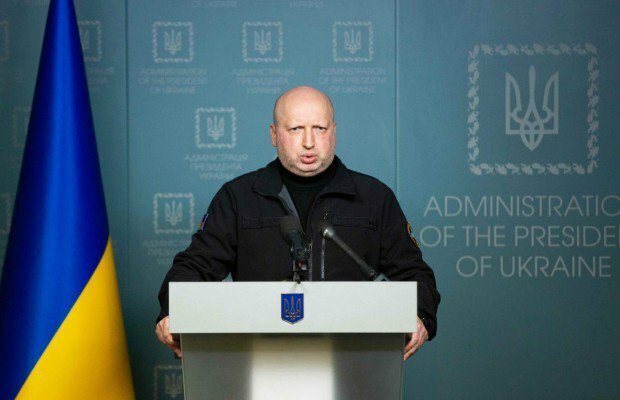 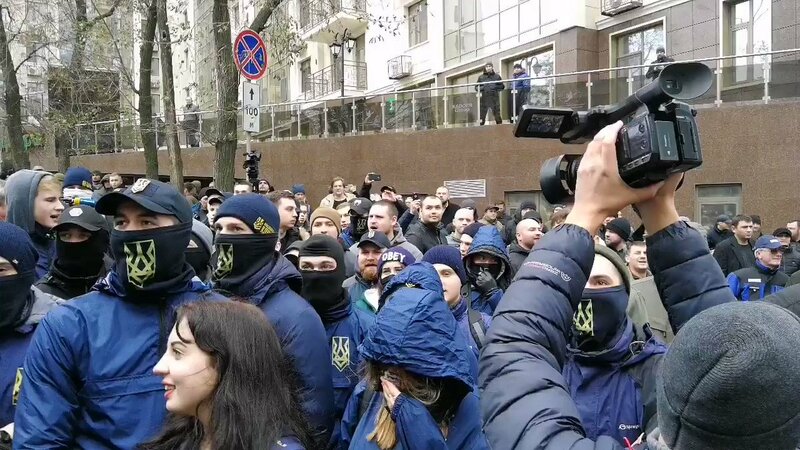 Turchynov: we are convening NSDC to declare "state of war"
NATO is closely monitoring developments in the Azov Sea and Kerch Strait, and in contact with the Ukrainian authorities. 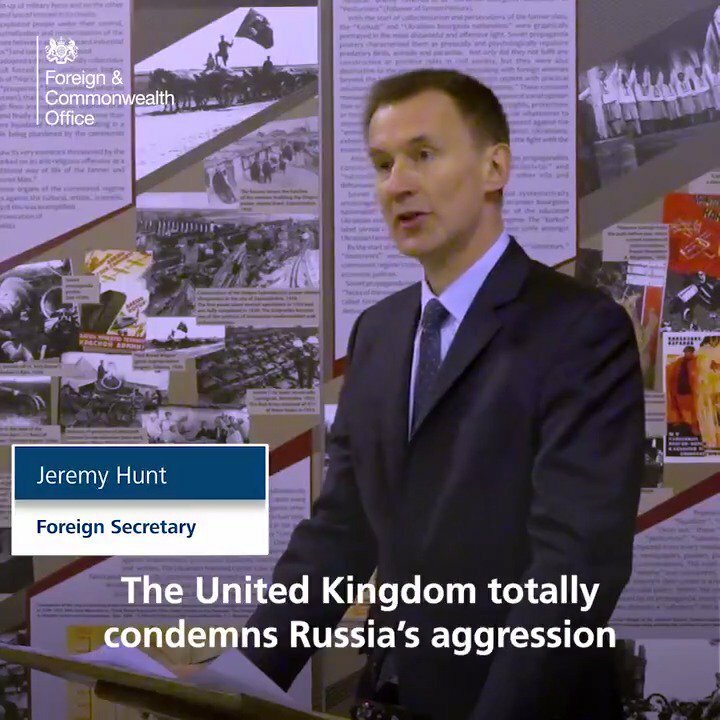 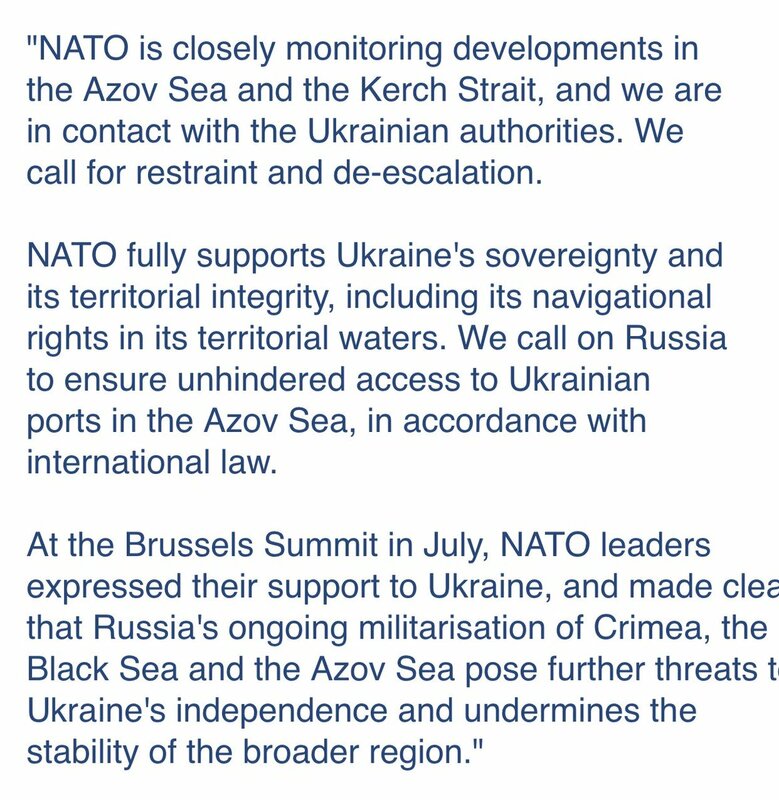 NATO call for restraint and de-escalation. 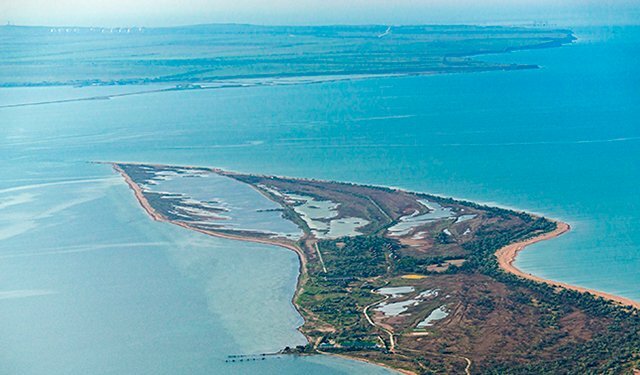 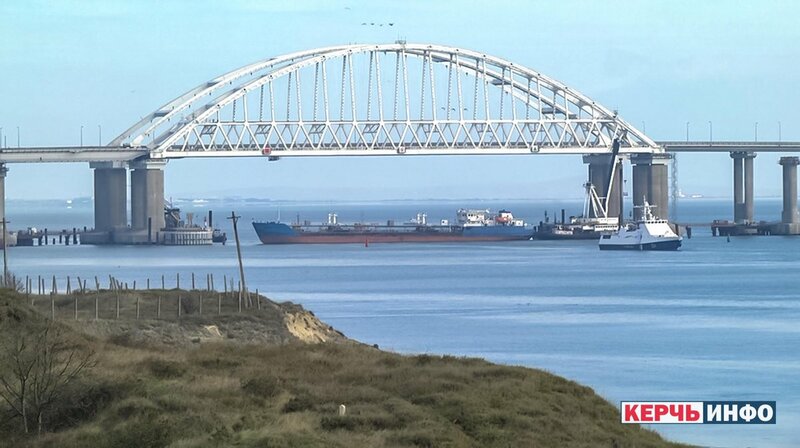 EU statement on Azov Sea: We expect Russia to restore freedom of passage at the Kerch Strait and urge all to act with utmost restraint to de-escalate the situation immediately. 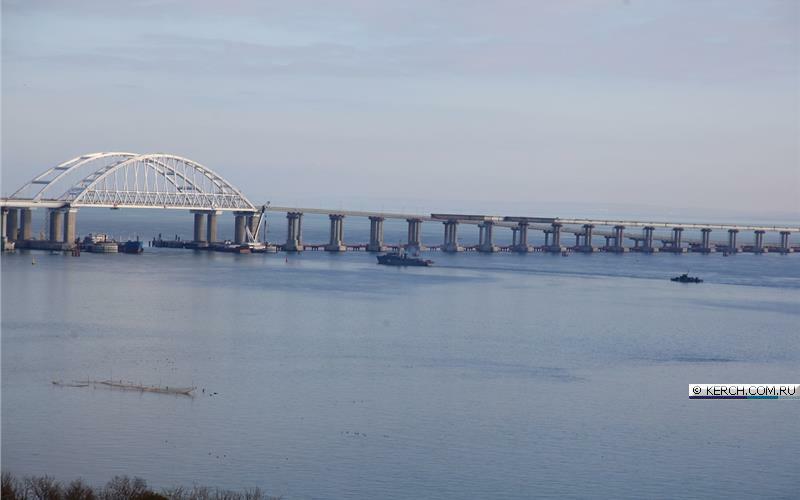 Lithuania MFA Linas Linkevicius: Strongly condemn Russia's move to physically block Kerch Strait and ramming of Ukrainian boat. 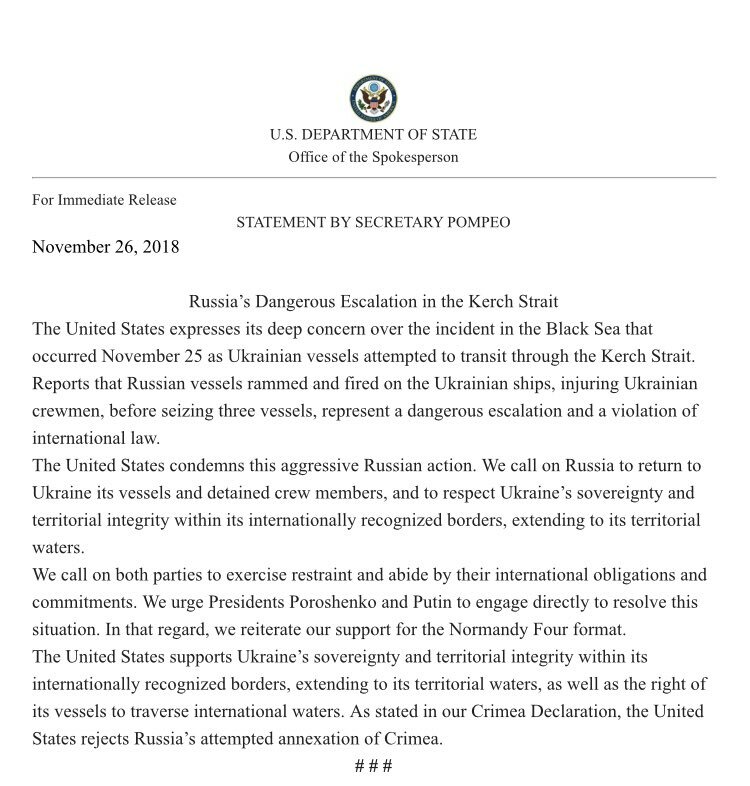 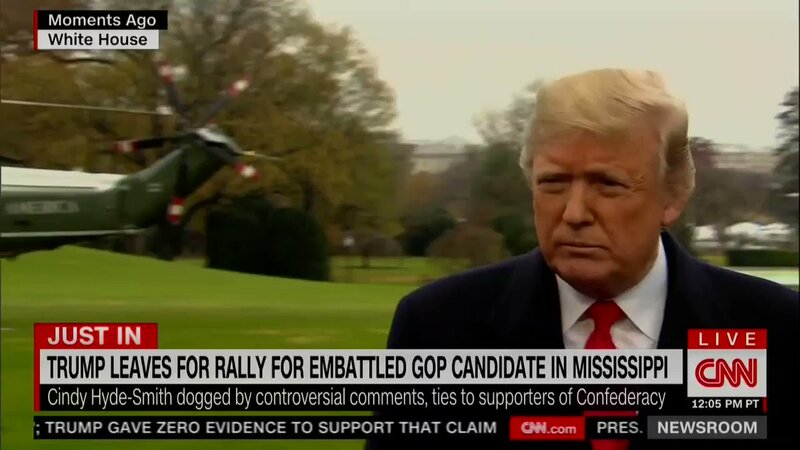 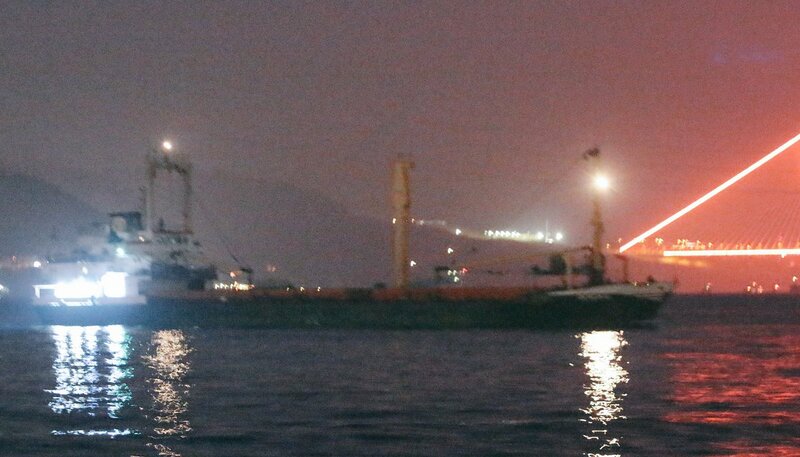 Cannot be qualified differently than an act of aggression and another blatant violation of international maritime law. 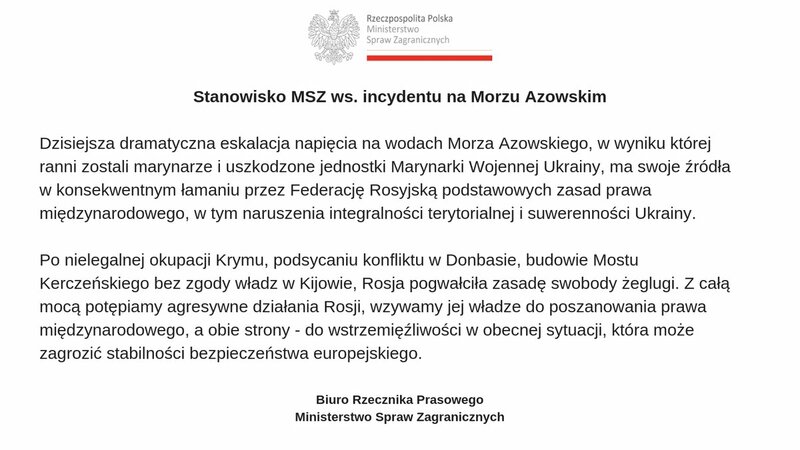 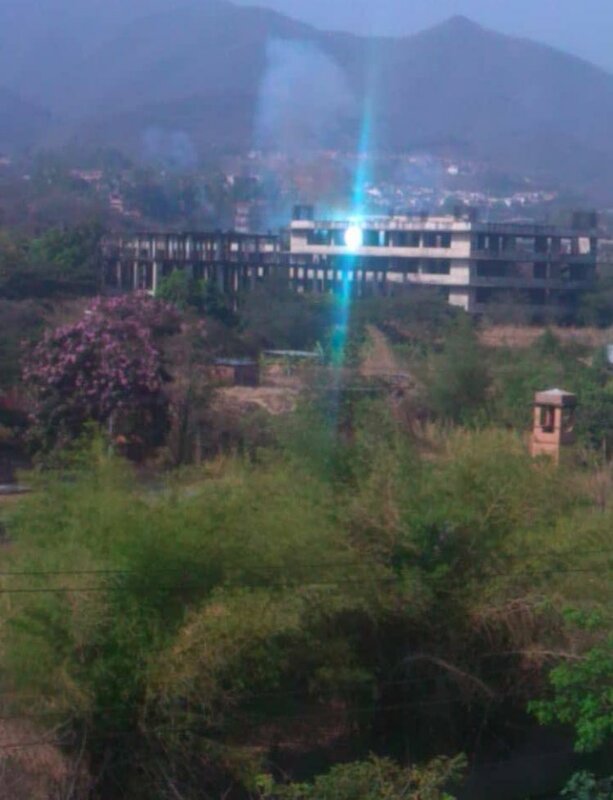 Such actions undermine security of the whole region. 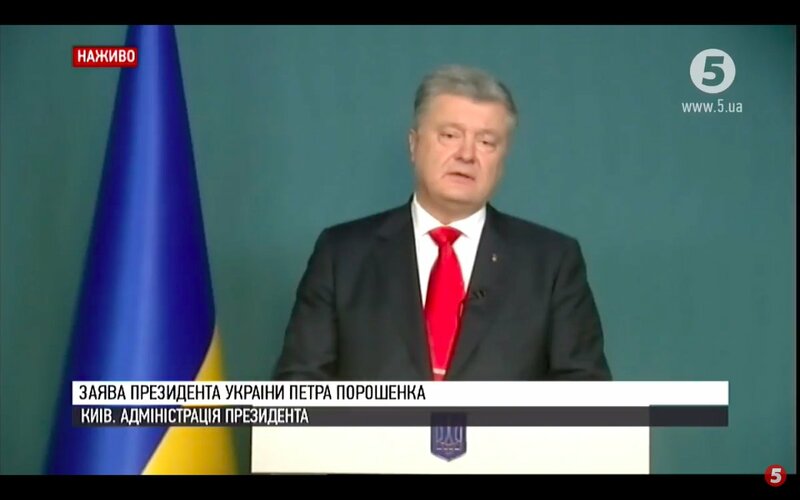 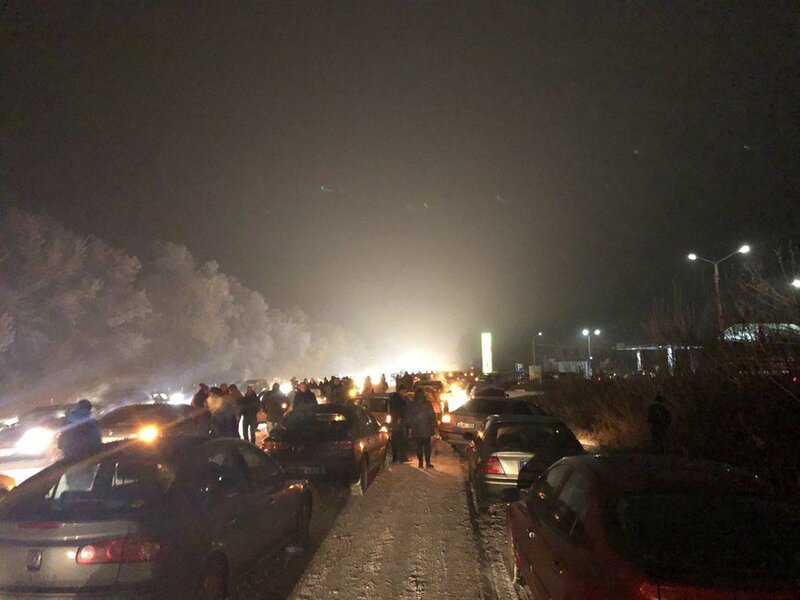 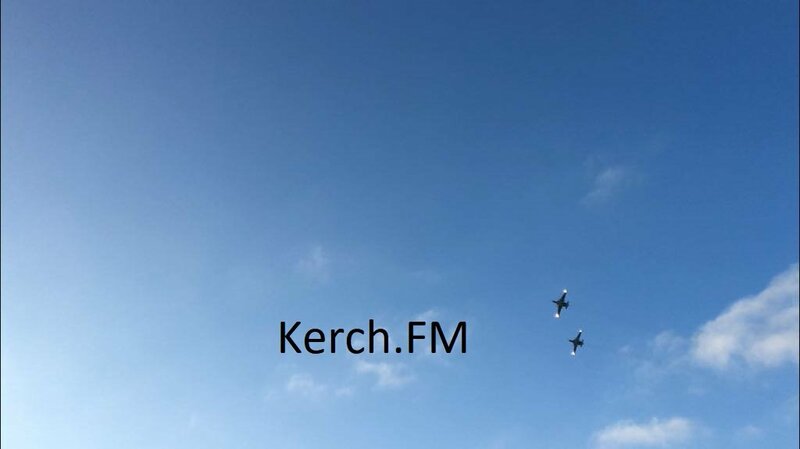 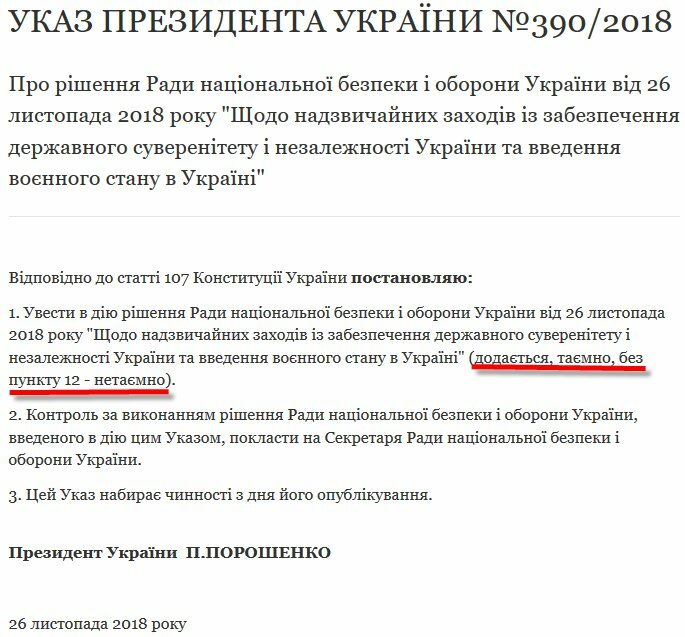 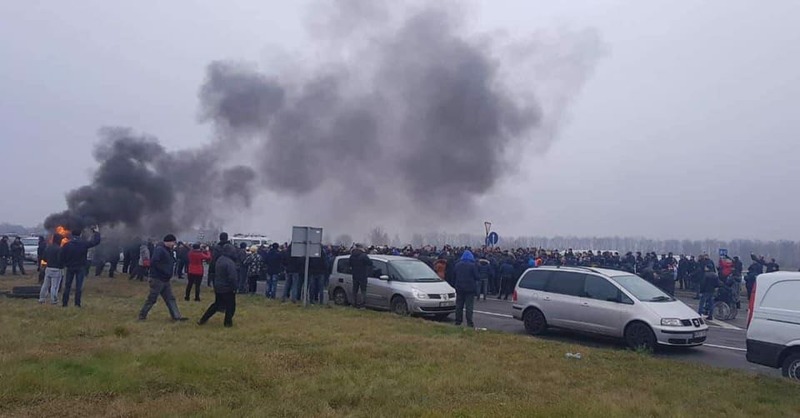 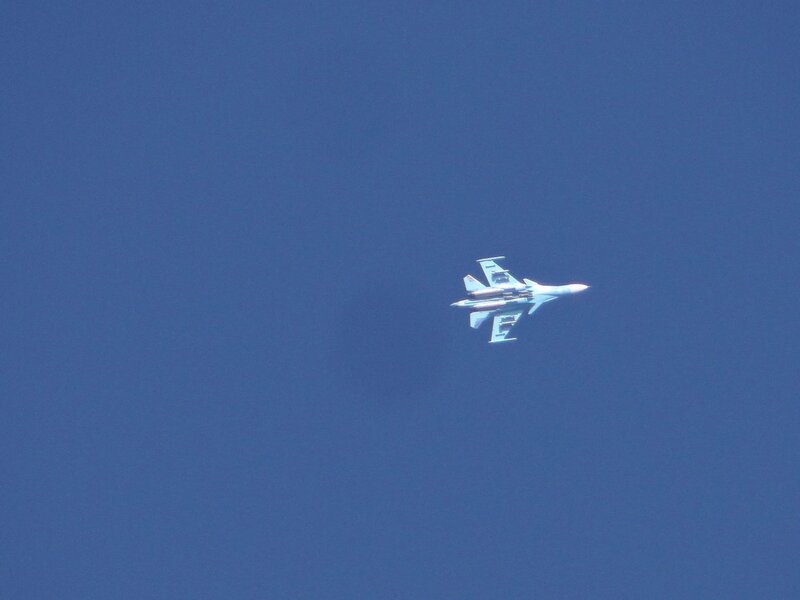 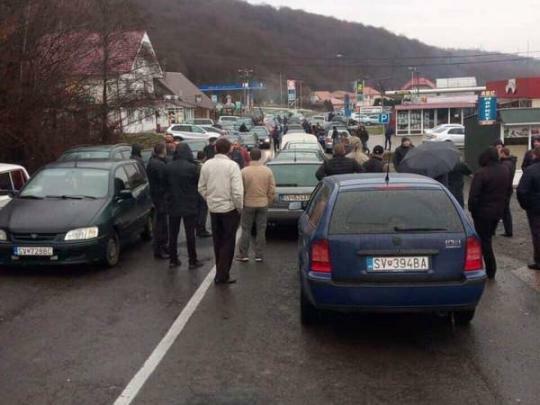 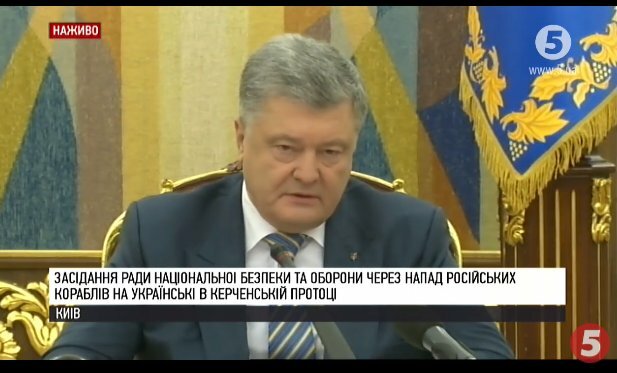 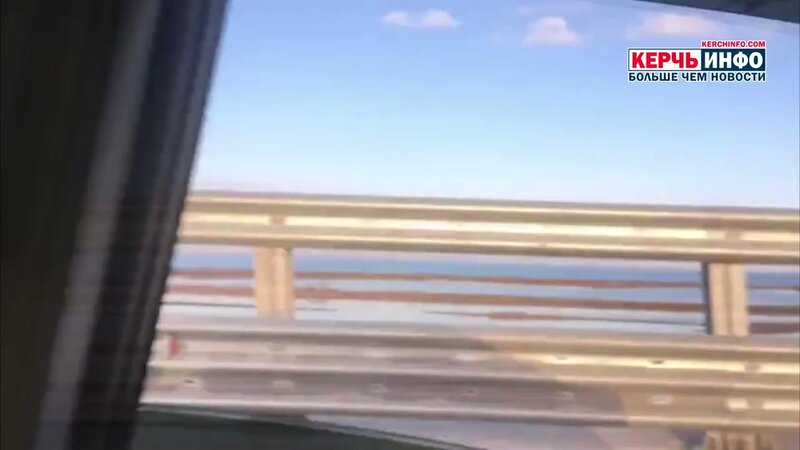 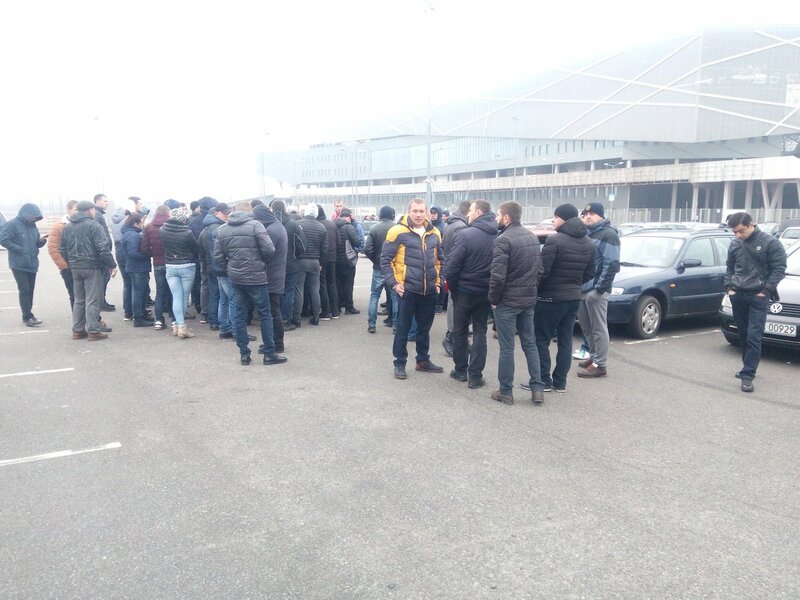 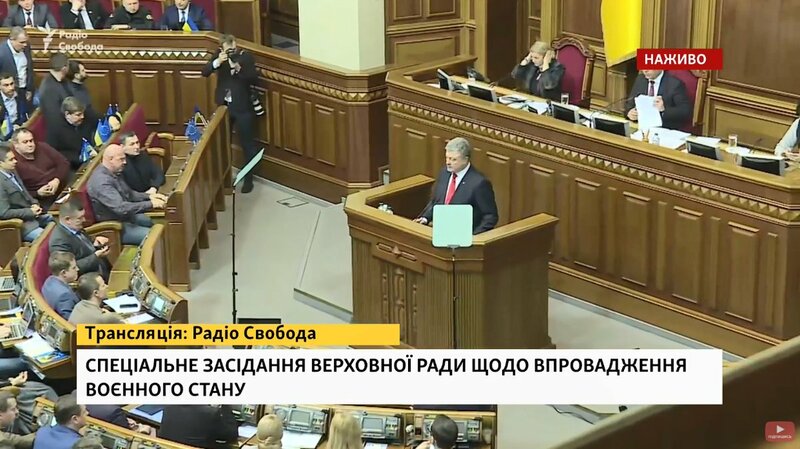 Head of occupation authorities in Crimea: West countries are behind "Ukrainian provocation near Kerch strait"
Russia sends Su-25 aircraft to Kerch bridge. 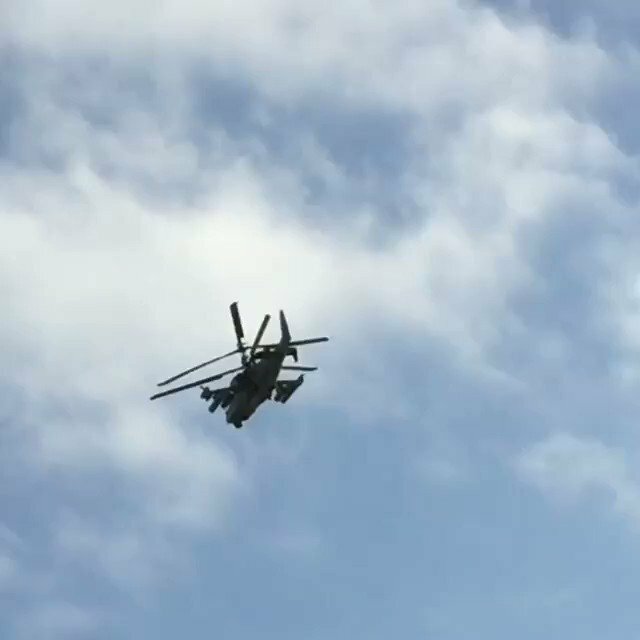 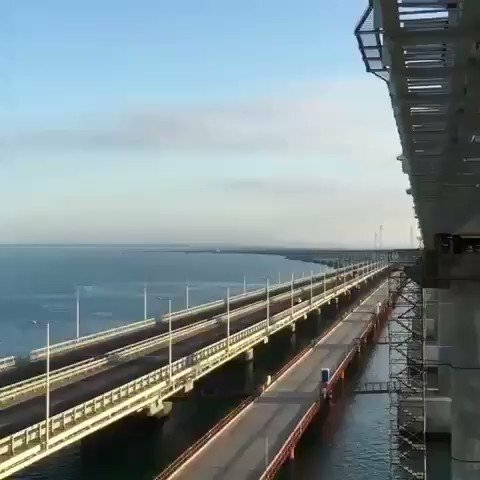 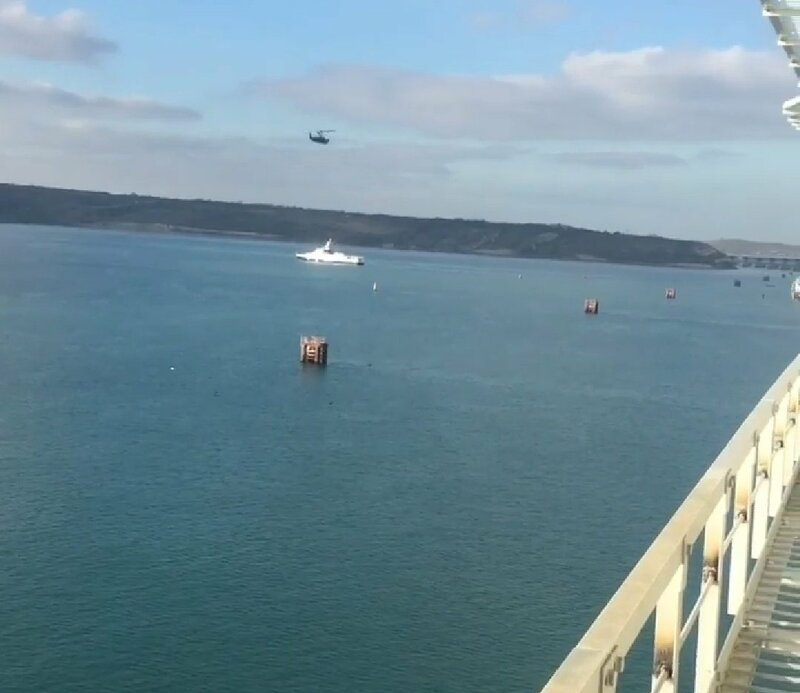 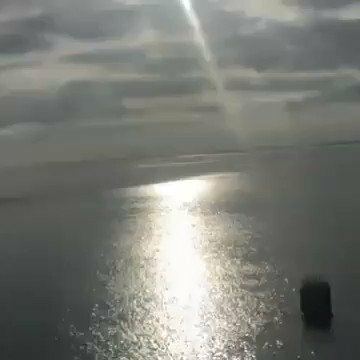 Russian KA-52 helicopters are flying over the Crimea Bridge right now. 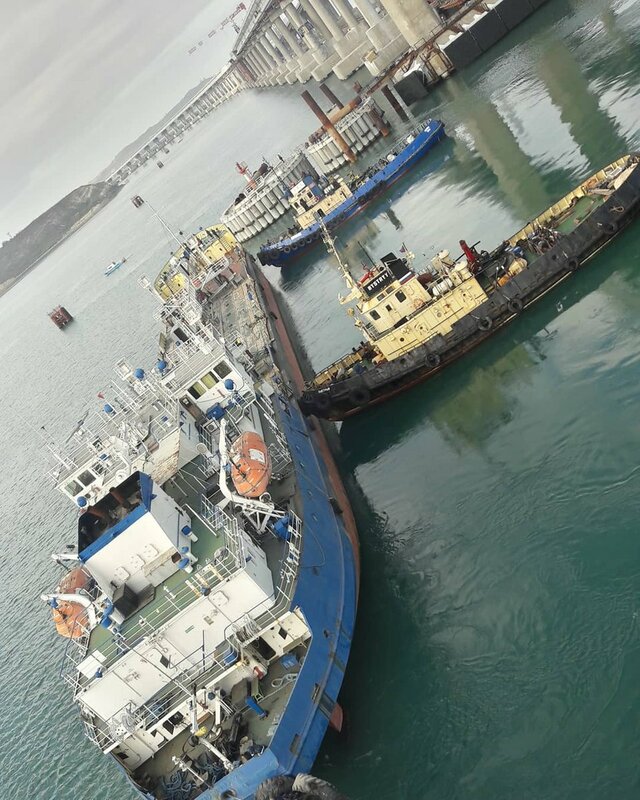 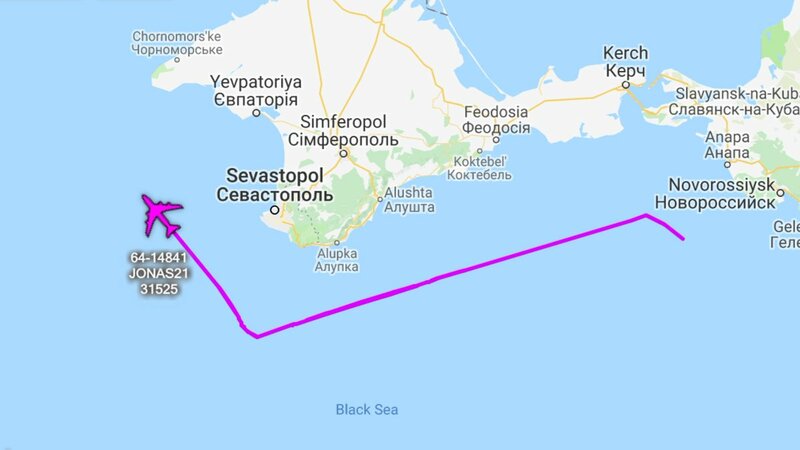 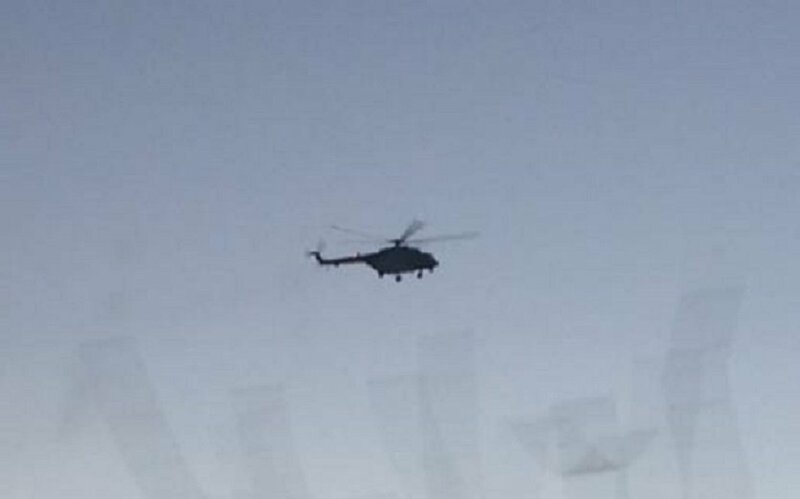 In addition to #RussianCoastGuard patrol/gunboats, Russia is enforcing its blockade of the Kerch strait with Ka-52 attack helicopters loaded with what looks like extra fuel, rockets and ATGMs. 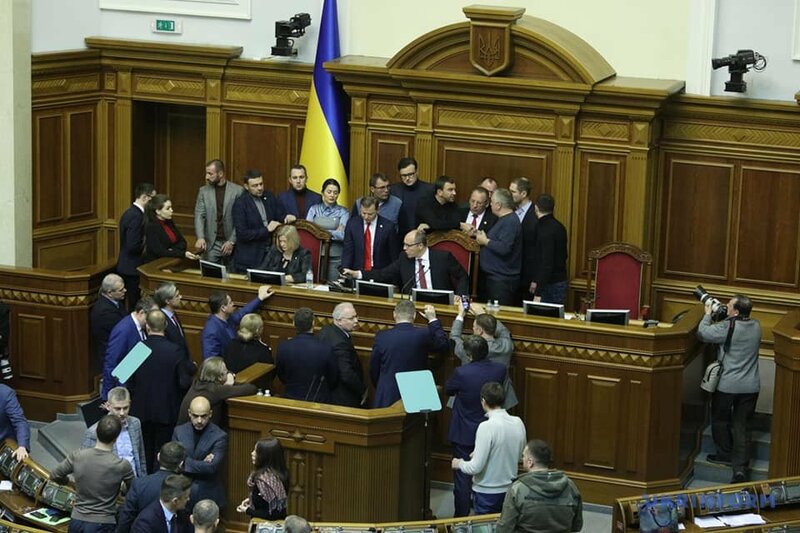 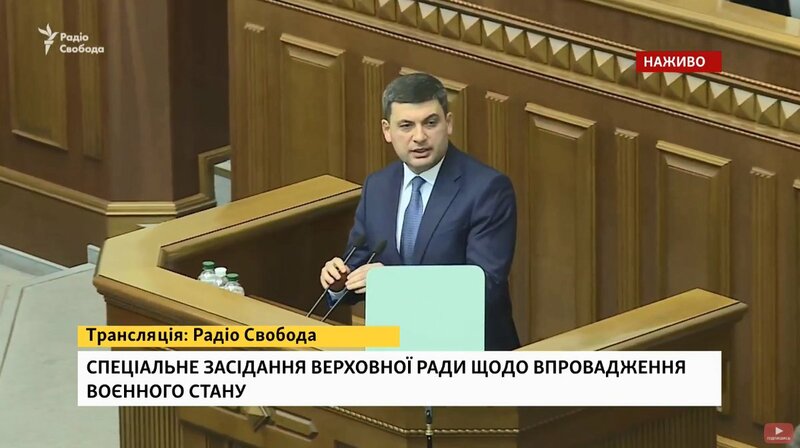 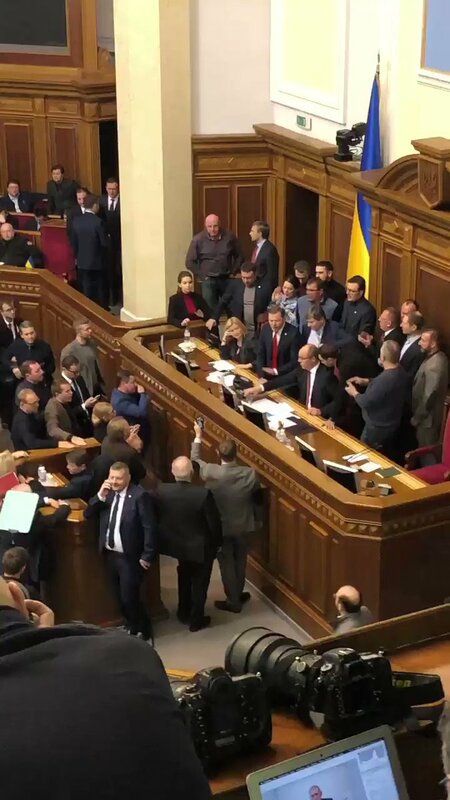 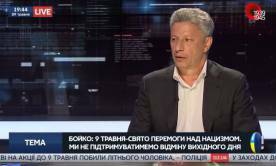 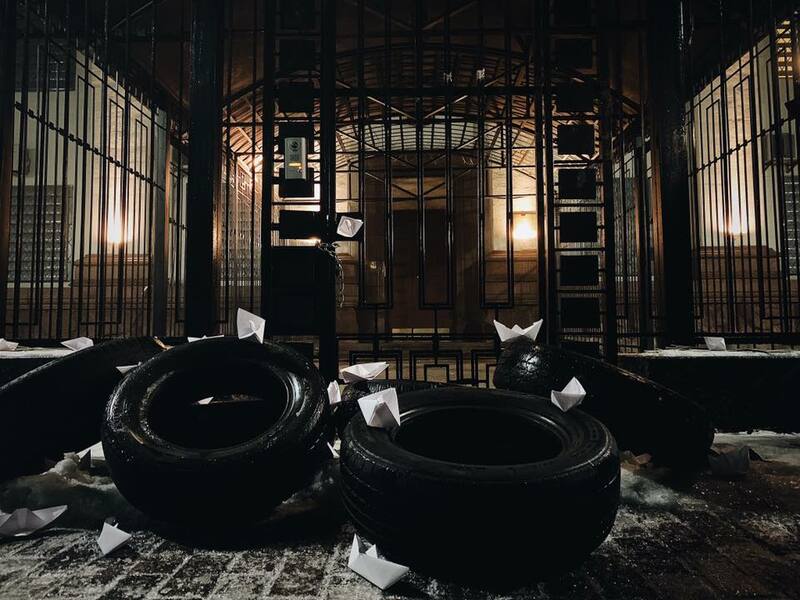 Oppobloc's Boyko: "Opposition Bloc is ready to settle for direct negotiations with Moscow, Donetsk [i.e. 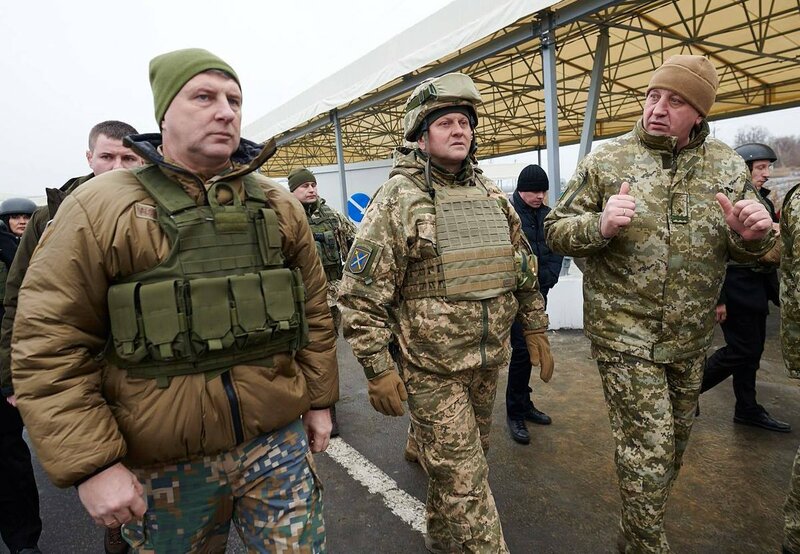 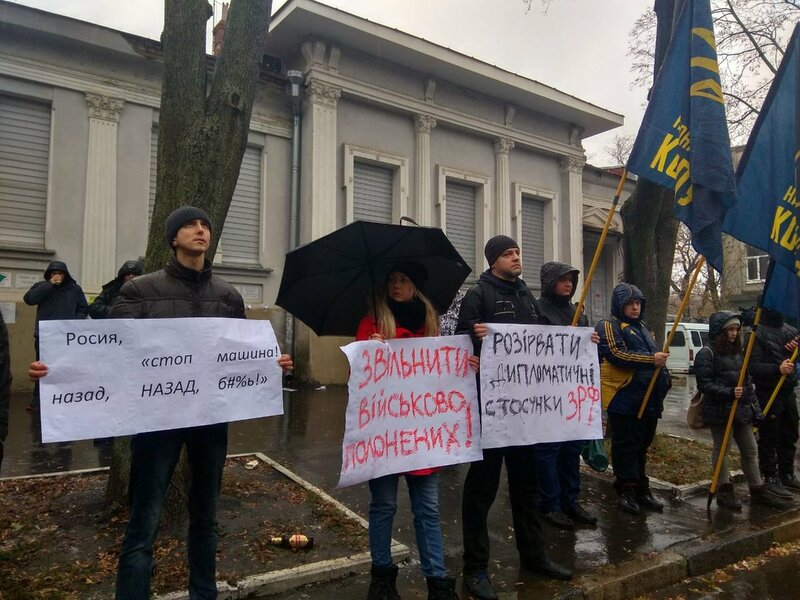 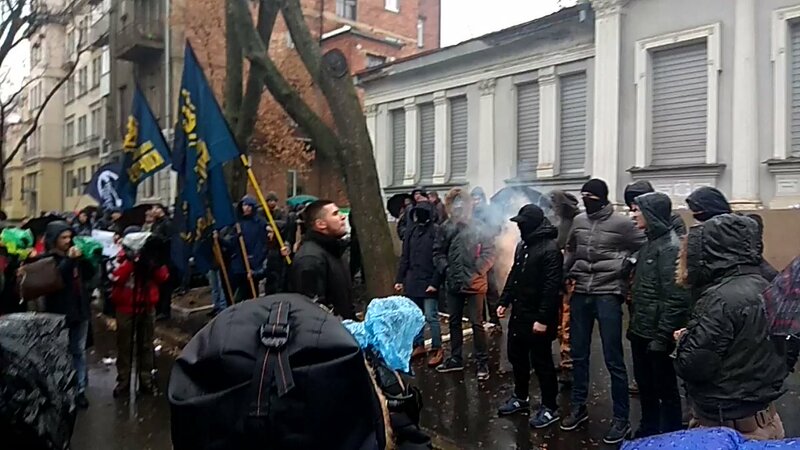 "DNR"] and Luhansk [i.e. 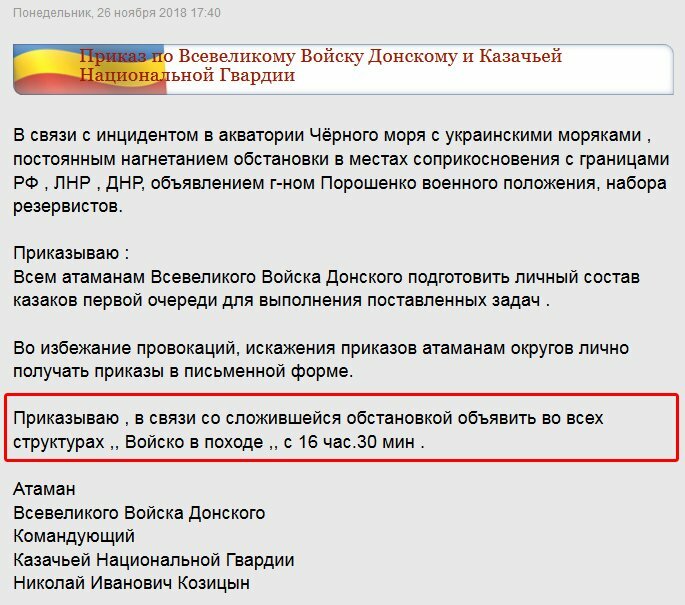 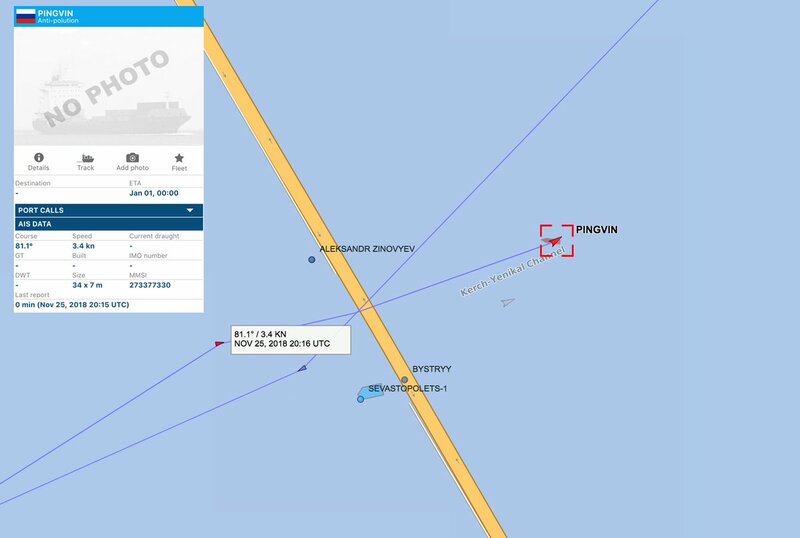 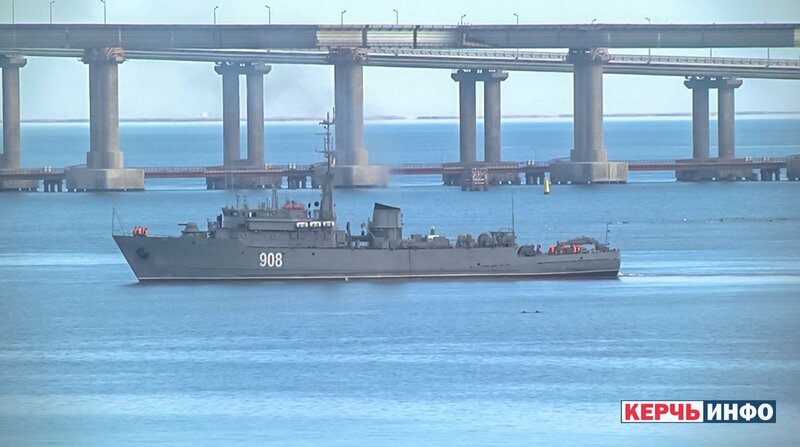 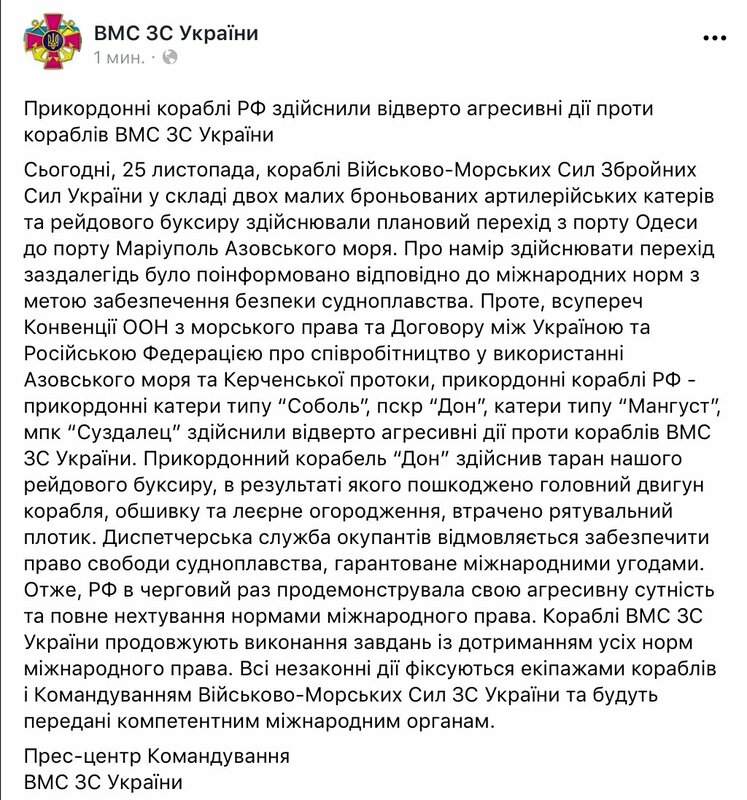 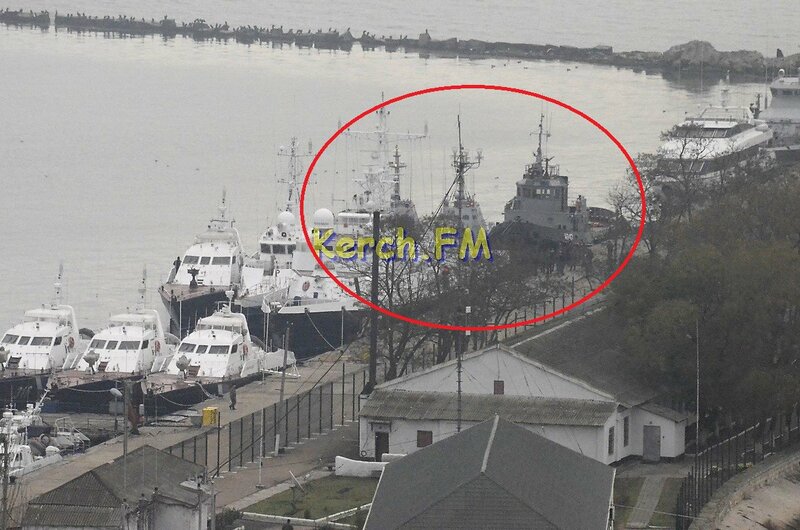 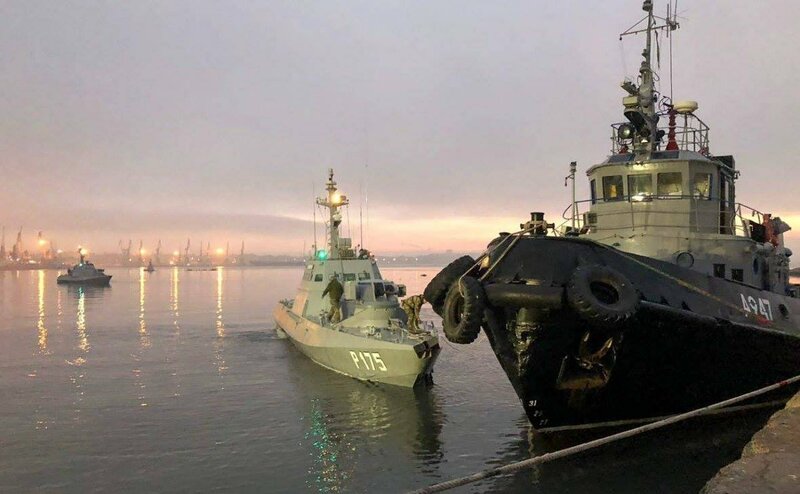 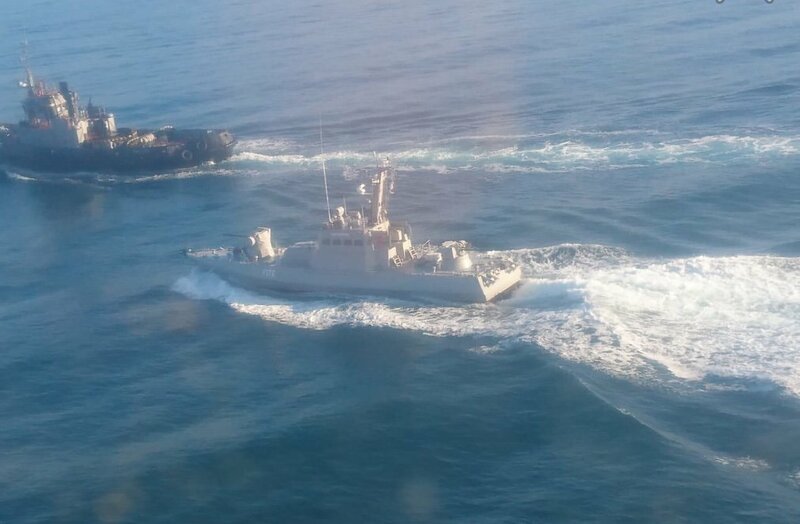 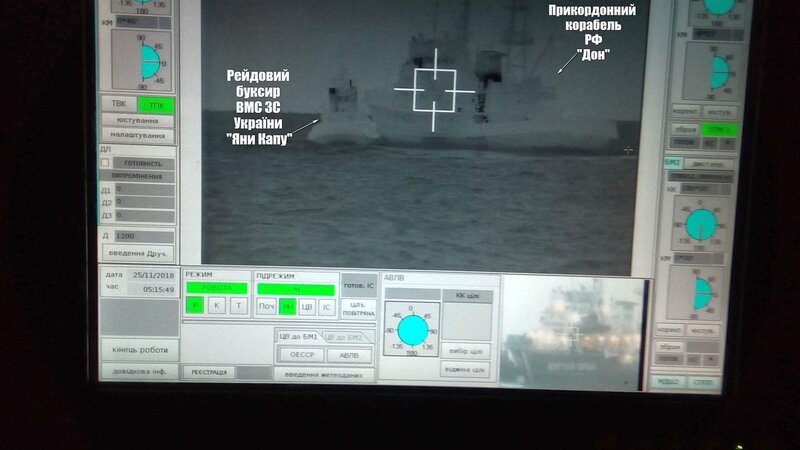 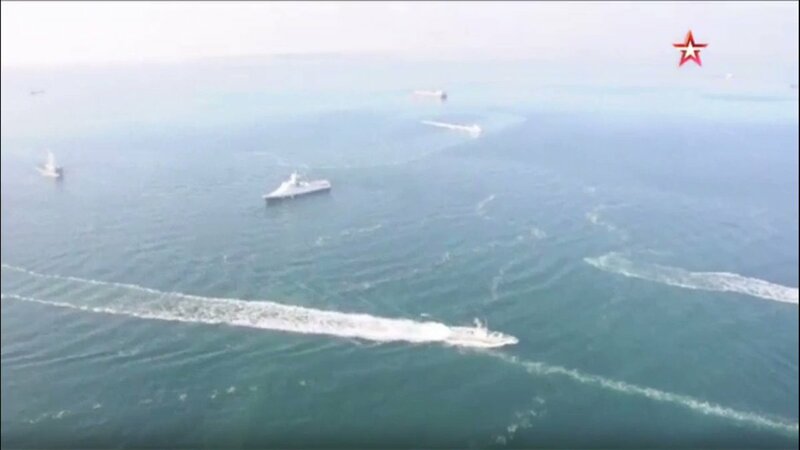 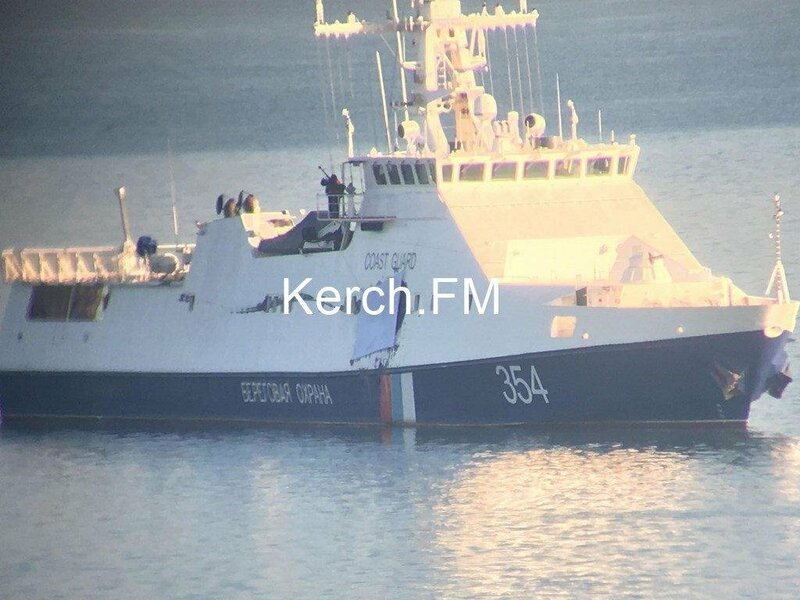 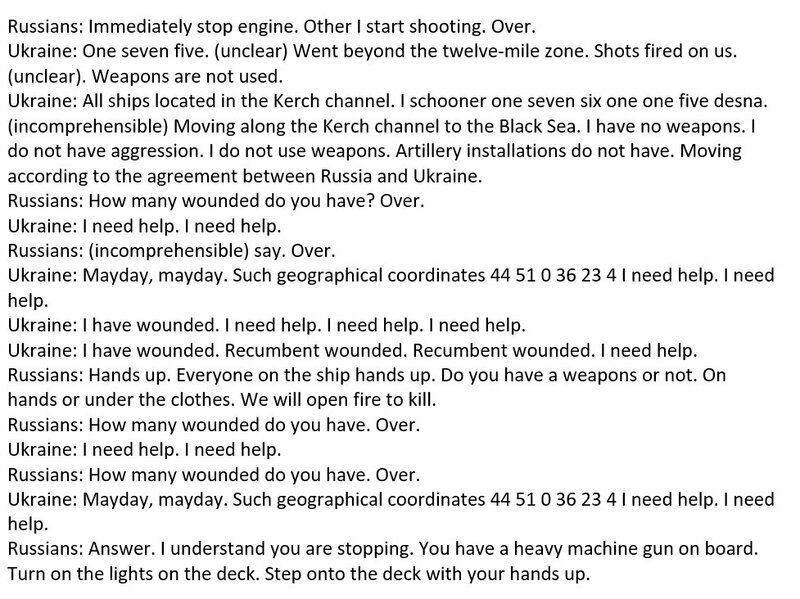 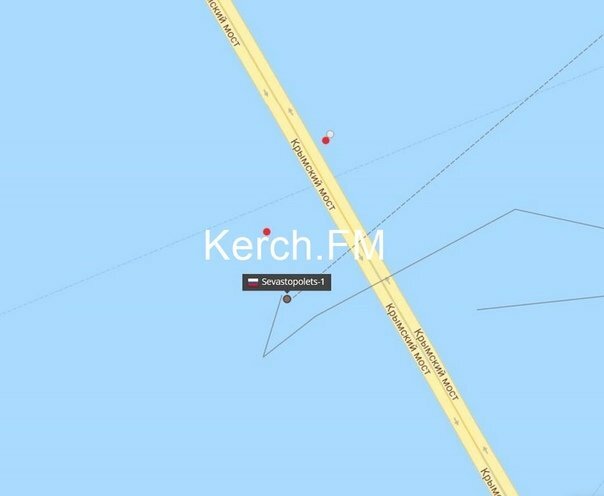 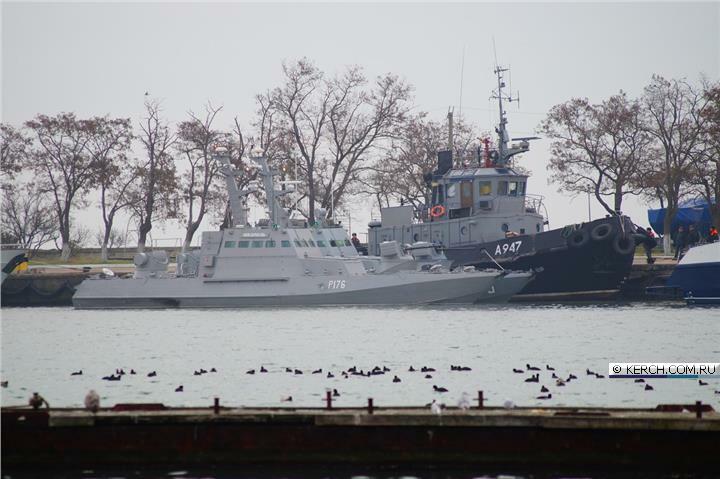 "LNR"] for the sake of peace"
Ahead of today's incident, Ukrainian Navy says it radioed FSB coast guard post at 3:58am to notify of it of 3 Ukrainian vessels en route to Kerch Strait and Sea of Azov. 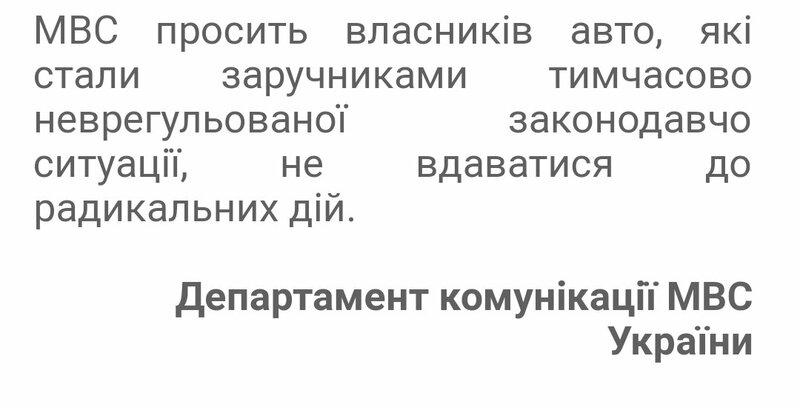 It got no answer. 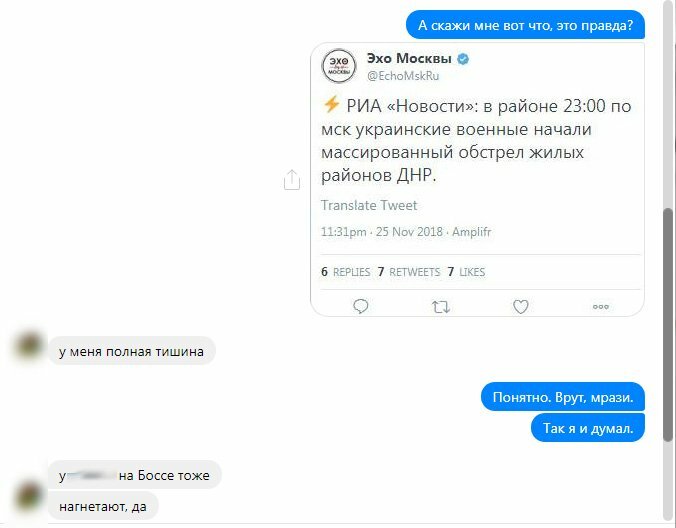 Second radio call at 4:07am also got no response. 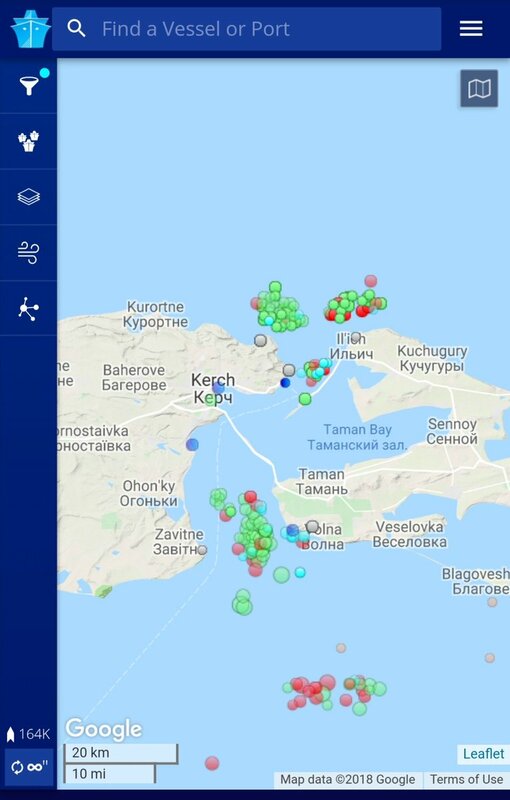 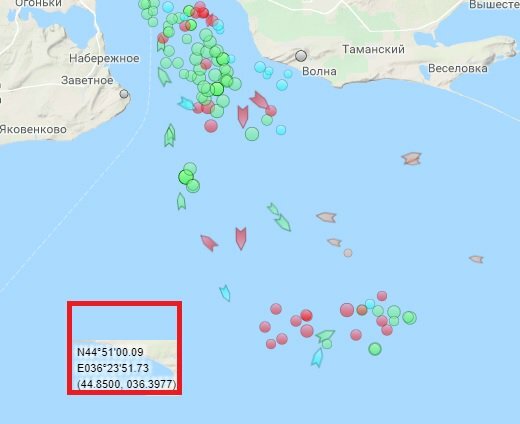 Judging from the ratio of anchored and underway vessels at @MarineTraffic at the Kerch strait is closed for non-Russian traffic.